The "city that never sleeps", also called the "Big Apple", is one of the major tourist destinations and business hubs in the world. As Alicia Keys sings in Empire State of Mind: "Now you're in New York, concrete jungle where dreams are made of, there's nothing you can't do". Clearly, this city has so many facets that it literally has something to offer for every taste! Book your cheap flights to New York from UK now and see why it has inspired generations of people worldwide. Having been a destination for immigrants from all over the world for centuries, New York is home to people from more than 180 countries and highly diverse. This shows itself in the different neighborhoods and the fact that you can find authentic restaurants of literally every type of ethnic food. Welcome to foodie paradise! On top of that, New York features several types of revival architecture that make up much of the charm of its boroughs. Whereas Manhattan is known for its ultra-modern skyscrapers, residential areas in Brooklyn and Queens shine with a lot of Dutch and English revival architecture. Taking a stroll through them is an absolute must! Start your sightseeing tour through New York at the place where thousands of travelers arrive and leave each day: the Grand Central Terminal. Marvel at its stunning architecture and do some people watching before heading to the Empire State Building and enjoying the views on the city from a bird's eye perspective. Of course, the Times Square and a visit to Broadway should equally be on your bucket list – what's New York without them! If you like art, then the Metropolitan Museum of Art is another must-see. This museum features many of the most famous painters as well as artifacts from Egypt and other historic civilizations. Also, check out the Gothic-style St. Patrick's Cathedral on 5th Avenue. To digest the incredible wealth of impressions, relax in the Central Park. Beware, this is for sure going to be the largest park you've ever seen in your lifetime! A particularly charming Manhattan neighborhood is West Village. Enjoy the artsy facades of its buildings on a relaxed stroll. To see some more fascinating architecture, head over to Brooklyn Bridge (crossing it, of course! ), and check out Brooklyn Heights and Park Slope with their lovely building style. Getting around New York City is incredibly easy. There's an extensive metro and bus network. Also, if you don't mind paying a bit more, the city has an abundance of taxis. New York is a city people travel to all year round. Travel to this bustling city in winter if you like cold temperatures and snow or in summer if you like warm temperatures. The same applies for spring and fall: New York is beautifully colorful in both seasons! There are many cheap flight tickets to New York which are available at a cost-effective price. You just have to compare flights tickets to New York and book your cheapest flight tickets to New York which fits well within your budget. Flight Offers to New York !! 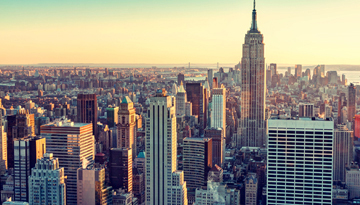 Thomas Cook offering £50 off selected return flights to New York city from Manchester. 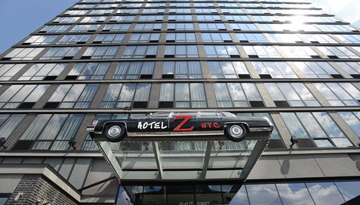 Z New York Hotel offers a restaurant and a bar where guests are able to relax at the end of the day. 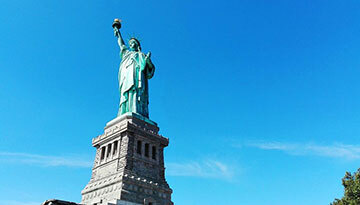 Fly from Birmingham - New York City & Stay for 3 nights with 4 star accommodation. Include Bed & Breakfast.